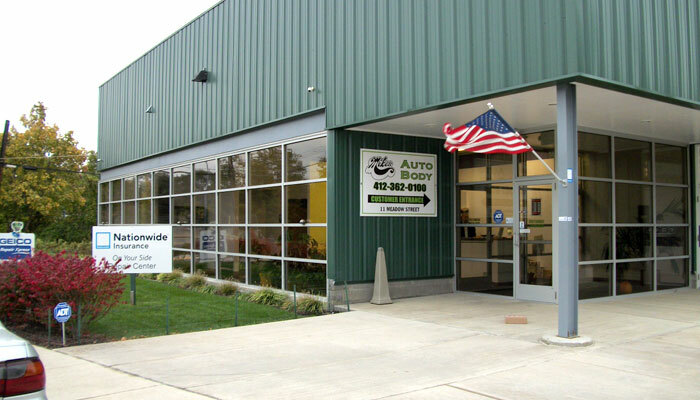 After over 30 years in the old location, Mikes Auto Body in Pittsburgh, PA, is in their new, modern facility. Mikes new facility is located at 6223 Meadow Street, and is walking distance from the original location. We will also provide a separate drive-in claim area available to insurance companies for their appraisers use. A special thanks to Senator Jim Ferlo for all the support he and his staff have given us as well as the city of Pittsburgh Mayor’s office for providing the land in the Green Space Program. Mikes would also extend a warm welcome to our new neighbor, Penn State.